The City of Fife seeks a City Manager that is creative and brings a fresh, yet experienced voice and perspective to municipal leadership. With a proven ability to move projects and initiatives forward, the ideal candidate will successfully guide the City through this time of growth and change encouraging diversity of thought and valuing the opinions of others. With a mindful eye, the City Manager monitors best practices and innovative trends to keep Fife moving forward. The ideal candidate has a proven track record with large scale capital projects, including transportation projects. In addition, the preferred candidate brings prior experience successfully partnering and collaborating with Indian Tribes. The City Manager serves as the Chief Administrative Officer for the City and is responsible for the operations and management of all city operating departments. The City Manager is responsible for implementing the adopted policies of the City Council by coordinating City services to meet the needs of all who live, conduct business, and play in the City of Fife. In addition to the overall administration of City government, the City Manager oversees the Executive Department, which includes the Human Resources, City Clerk, Economic Development, and Information Technology divisions. To learn more please review the full position profile here. With majestic Mount Rainier as its backdrop, the City of Fife is the Northern gateway to Pierce County, Washington. Fife offers a small-town feel and big-city ideas, with a population of just over 9,800 and a thriving business environment. Fife is industrious by nature. 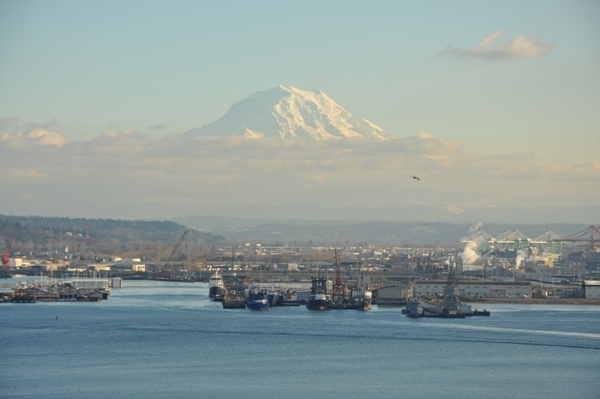 Their prime location between Seattle and Tacoma makes them well suited for business, offering access to major roadways, the Port, and neighboring communities. Fife is known for its high-end retail auto and RV dealerships, as well at its thriving warehouse, distribution, and manufacturing centers. Once a small farming town, Fife has grown into a hub of community, industry, and retail opportunities. When you think Fife, think livability. Open space, vibrant parks, outdoor public art, close-knit neighborhoods, and award winning schools make Fife ideal for families. The City of Fife operates under a Council/Manager form of government and provides a full range of municipal services, with the exception of fire, which is provided by the Tacoma Fire Department. Fife has eight operating departments: Executive; Finance; Parks and Recreation; Community Development; Municipal Court; Police; Public Works; and Aquatics, employing 135 full time and 35 part time/seasonal staff. The City has a biennial budget of $163.5 million biennial budget and $37.5 for the general fund. At least seven years of progressively responsible experience in municipal government, including five years of administrative or leadership responsibility. Strong managerial experience and the ability to work closely with the City Council is essential. An exceptional ability to develop effective partnerships is required. A bachelor’s degree in public or business administration or related field is required.